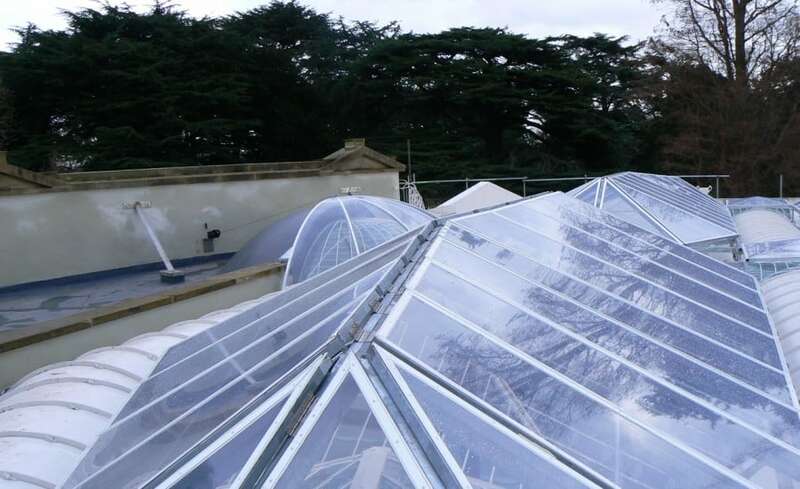 Said to be the oldest cast iron building in Britain, the restored Camellia House at Woolaton Hall in Nottingham is now the proud home to an ETFE roofing system installed by Architen Landrell. 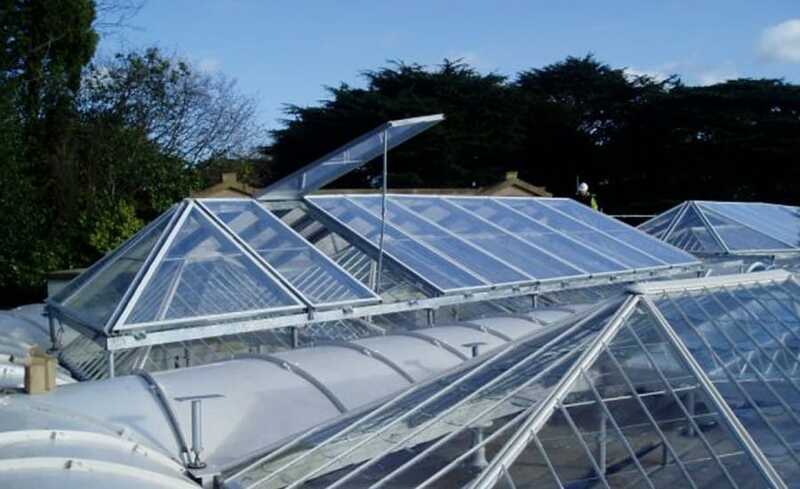 Facing the problem of local vandals throwing bricks at the structure, Nottingham City Council wanted to protect the Georgian greenhouse from being destroyed. However, the client felt it was important not to lose the functional aspect of the building. So designers set about creating a protective measure that would not impede the buildings uses. 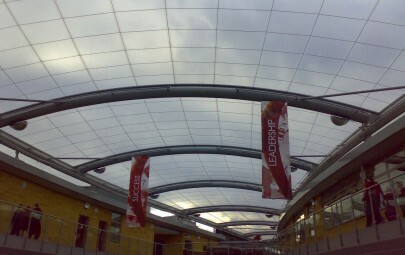 The designers approached Architen Landrell to install the specialist roofing system for a number of reasons. Not only is ETFE strong enough to withstand snow loads, it is also shatter proof, making it safer than glass. 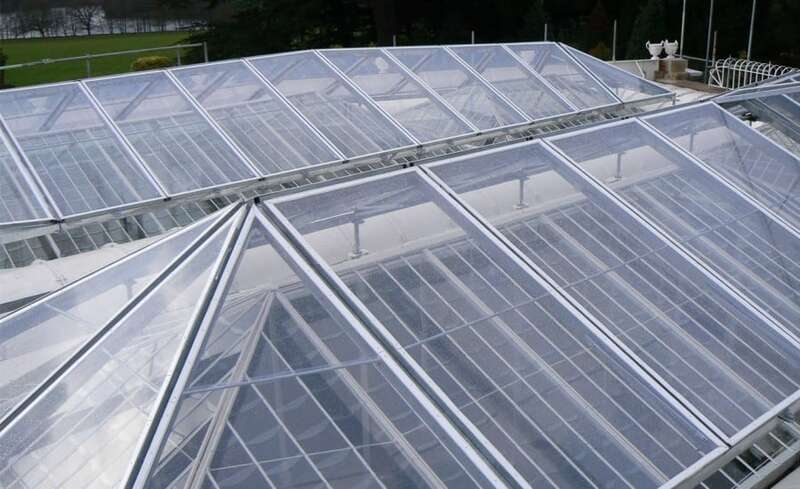 To ensure the building could remain a usable camellia house, ETFE proved an excellent choice – translucent enough to allow maximum light into the space without losing the appearance of a greenhouse. 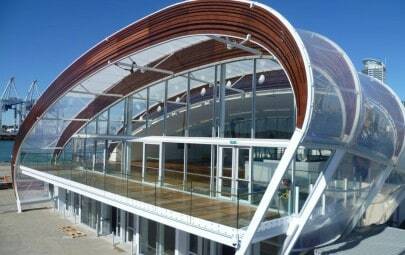 Finally, as a material ETFE was light enough for the original structure to carry, and provided potential to incorporate opening panels into the building envelope to give access for cleaning. The geometry of the frame itself was complex and difficult to model. A certain amount of trial assembly and empirical testing of elements was required to overcome this, but Architen Landrell successfully developed the design into a working model. 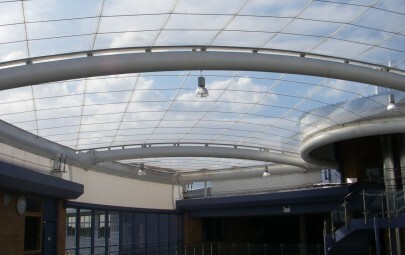 The over-roof provided a solution to a long standing problem of vandalism and avoided ted the need for expensive CCTV systems and constant patrolling, while remaining in keeping with the Georgian structure that lies beneath it.